Why hello you lovely little lot and how are you all today? How’s the present shopping going? If you’re still struggling for that ONE person that’s a nightmare to buy for do check out the Snapfish Stocking Fillers from a couple of weeks ago. Amazing personalised gifts for anyone in the family or your friends. On another side note. 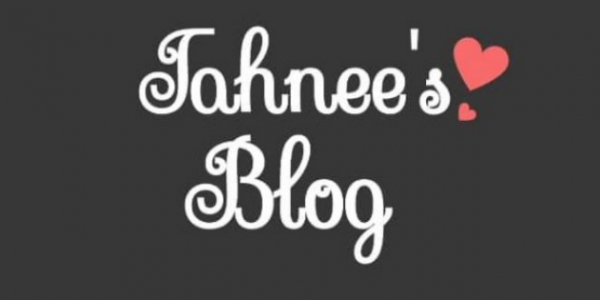 Tahnee’s Blog has been nominated for a UK Blog Award which is a huge honour and I am so proud!! Voting started on December 5th and I could use as much support as possible. I would hugely appreciate it if you could go vote over at #UKBA17 I would be forever grateful!! What a way to bring in 2017 hey!!! Anyway on with the blog! Today’s blog however is another festive tasty treat and this is a good recipe for after Christmas, to use up any leftover Candy canes and chocolate you may have. Could also use them to decorate the tree with sweet treats!! I saw them online and thought they were great! So this is such an easy recipe you’re not going to believe how quick they are to make!! Put a sheet of the grease proof paper onto your tray. Break chocolate into the bowl. Arrange the candy canes into heart shapes. You may need to trim the ends. I used a knife warmed in water. Spoon your mixture into the middle. If you want to put them on the tree, I added a small piece of kebab skewer through the chocolate and add a hole in it for ribbon or thread. Add sprinkles and place in the fridge to set. That is it!!!! Now you have a beautiful, tasty but simple treat. Plus i think they look fab and really festive which is awesome. As I said you can also add a hole to create a tree decoration which I can’t do as they would last 3 seconds with my boys (lol). I hope you enjoyed this blog and please tag me in your Christmas crafts using my Social Media pages! Also please, please go Vote my loves! !